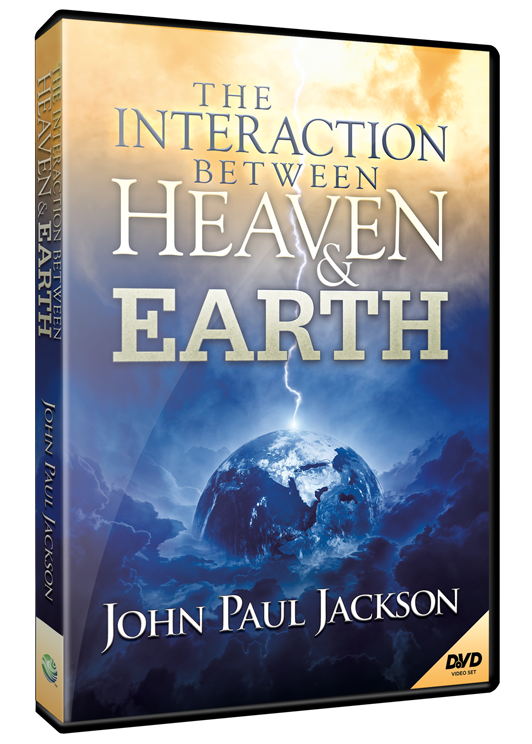 WordOfGraceChurch: The Interaction of Heaven with Earth - John Paul Jackson. 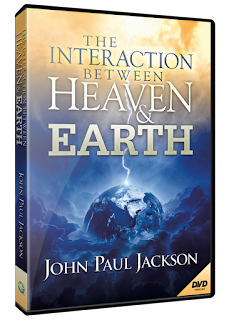 The Interaction of Heaven with Earth - John Paul Jackson. The following is a summary of the first session of a Seminar conducted by John Paul Jackson in Mumbai this year. Those of us who attended it have come back fired up to live and think above the line. We hope to capture the content ,and the spirit of what was communicated there. Be blessed. Gifts are not a value statement but a function statement. It’s a team in the Kingdom of God doing their part. 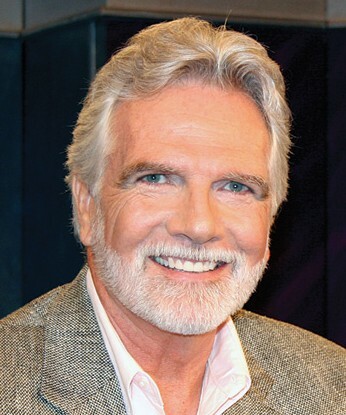 Prophetic people should not think too highly of themselves – it’s a function like any other gift. We have a choice of how we use this gift – responsibly or not. We need to conquer our character- the need for glory, gold, guy/gals. You have to chop off goliath’s head. We need to cut off the head of many things in our lives. God is stronger and there is nothing that he does not know. Acts 12:5- Peter is in prison and an angel comes to him and sets him free. Heaven interacts with us daily- we just don’t recognize it or are aware. There are so many keys to understanding the King of God- vision, dreams, words of knowledge etc. 1`” Your kingdom come, your will be done, on earth, as it is in heaven i.e earth is “us” and we are saying whatever you want to do God, do it with me. We don’t understand the ramifications of this prayer. We don’t understand that the Kingdom of God is within us. 2Col 1:15 God created us for a purpose. We tend to think we’re here and we better make the best of it. God has placed us here for a specific purpose. 3. Col 3:2 – Set your minds on things above. We need to think with God’s perspective. God orchestrates our lives. Think above the line – in heavenly terms in everything. 4. Exodus 33:13 Moses wanted God to show him his ways, his presence and His glory. How many of us pray “Teach me your ways?”Most of us want to only see God’s glory. Moses did a lot of amazing things: parting the Red Sea, water from a rock, etc and yet he was saying “God I don’t know who you are – show me your ways “. Many people in ministry don’t really know God. We are in danger, globally, of Matt 7 coming to pass where Jesus will say to those who healed the sick and cast out demons in His name “I never knew you”. These are people who did great things but never knew God. We have to know God personally. We need to learn how to get to know Him. – To get acquainted with Him. We have made him way too small. If you want a life that is full of the supernatural on a day to day basis is possible and you can have it- its way easier than you think. You are the light of the world! If this is true people should be able to tell that. There should be a visible tangible difference between me and those who don’t know God. We are born of the seed of God. Born Again – procreated again. Re conceived I am a being of Light from above. God’s seed in me- creates me brand new. I want to ooze God! Like when the women touched Jesus, power went out. We should want that. Ask God that every day! Creation cannot encounter the creator and not be changed. Ask God to make this a reality in your spirit. Give God an opportunity to live up to His name (prophetic evangelism). 3 We need to think above the line – why and how. God defines his eternal nature. There are many interpretations to this passage. We need to understand the difference between god and everything else he created. God alone is eternal. Everlasting – some moment in time you will live for ever. Eternal – has always been therefore we are everlasting but not eternal. God alone is uncreated and self sustaining. And we should not to the slightest degree blur the lines between God and us or anything in creation. What are some of the definitions of a diety? 1 Omnipotent 2 omniscient.3 Omnipresent 4. Immutability – unchanging – never changes therefore you can trust him completely.5 Eternality. We tend to think that God exists inside of time. That would make something else precede God. If something precedes God then he is not eternal. If God is not contained by time, then time exists in Him. He is beyond time. His word contains things that are not time related. He is simultaneously existing pre beginning and at the end of time. Our human logic says that anything we don’t understand is illogical. God may appear illogical but as High as the heaven are so are my ways above your s declares the Lord. Therefore nothing perplexes him or is too hard for him. God has never made a defensive move. It’s always an offensive move because God is never surprised by anything. Your enemy is not a deity because he does not have the 5 attributes of God. If we are not careful we could treat him like that. God does not have to fight Satan. It’s Satan who is fighting God. Without knowing we are de deifying God and defying Satan. Ps 139:16 You saw my unformed body.. all the days pre ordained for me. God fashioned and designed David and his gifts before time. Gods knowledge therefore does not make us do things but He knows what we are going to do. When you know Your God like this you know that there is no demonic force that can whip Him. Have faith therefore that He will work on your behalf. He will back you up when He ask you to do something. 2 Co-existences with the Spiritual world. 2 Kings 6:15. The kings want to take Elisha out. The servant sees the Assyrian army on the hills. Elisha prays “open his eyes that he may see”. The servant saw the Chariots of fire. This is interaction between heaven and earth.Were those armies there before the servant saw them? YES. What do we learn Whether we see them or not they are there. They are holding the devil back who is a killer. Why did God send the chariots of fire- because he did not want Elisha to die! The spiritual realm is superior to the earthly realm. How do we know? Man has never killed an angel. But one angel killed 185.000 in one day. Who struck the army with blindness> probably the armies of heaven. Angels don’t get injured in a battle. We want this realm to come to us. We want angels to fight for us. Humans can’t harm angels. We need to have a spiritual response when things go wrong- not a physical response. The invisible is more real than the visible. We must be in a place where God is justified and acting in our place. God cannot condone our sin. God can only act to a degree of our cleanness. Righteousness requires repentance. We need to seek righteousness. Today in some circles Righteousness is thought of as legalism. Some feel we don’t nee to repent from sin. We can’t make ourselves holy – the close you get to Him who is Holy you absorb it. Is is a fruit of a relationship with God. Its a being, not a doing. God has given us the whole realm of visions, dreams, trances, angels etc. There are 16 types of angelic beings. Ps 103:20. They excel in strength, they arrange for things to happen, they only harkens to the voice of God, they come with a Word, they don’t listen to us but they tell us. Heavenly Hosts – have different names and responsibilities. They wait and serve on God. They seek to please God. Ps 103:21, Dan4. They observe, judge and make unchangeable decrees. They are the Serepham, Cherabum.1 Sam 4:4. Ezk 1:6. They are innumerable in number. Then we have spiritual gifts (9of them) given to help us. The enemy wants to destroy us. When we pray we destroy the works of the evil one. God does not want evil to destroy us. Dreams and visions are given to help us that we will not get hurt. We have to think on a higher plain. We have to think differently from the man on the street. If you want to be one of the crowds you are doomed to mediocrity. Be above the crowd and you will be a leader. Acts 17:26-28. He determines the time and places where we should live. You will fulfil your purpose you will not fail if you walk with Him. No one in your blood line can do what you are to do. The only thing that can stop you is lack of faith. The Kingdom of God is about faith. You were born for such a time as this. You are not an accident. Satan cannot stop you. What goes on in your life is not by man’s devising but by God. God will help you in every way- he will help you reach your purpose. He will move heaven and earth if you have faith. If your life is the same as 5 years ago something needs to change. We have to think in terms of heaven. God is a deity we have to trust that he is all those things, we have to be renewed in the spirit of your mind i.e we have to be renewed in heavenly terms and not earthly. We have to think about our responsibility etc. Anything that does not agree with what God thinks exalts itself above god, You have to believe it. 2 Cor 10:5 We need to cast down every argument that exalts itself against the knowledge of God. Do your thoughts exalt themselves above the knowledge of God? i.e you are not thinking about yourself the away God think of you . You feel discouraged and you don’t believe God had designed your life and he has a perfect plan for you. You have to believe that he has or else you will not achieve it. Thinking too high or low is exalting itself above God. We must think with truth and clarity about ourselves. Here’s why – you have to think about yourself the way god thinks about you. No more, no less. We need to live our lives exactly the way God made us, He has made me perfect to do His perfect will in my life and with a 100 fold return.